Founder of the Sanger Bros. Stores -largest in the Southwest U.S.
Lehman Sanger was born September 26, 1838 in Obernbreit, Germany. He and his twin brother, Isaac, were sent to America at the age of sixteen. Already in Europe, anti-Semitism was rampant and a fair shot at entrepreneurship could never have been as readily available in Germany as it turned out to be in the United States. The brothers learned business while working in New Haven, Connecticut. They then parted ways in the early 1850s but the separation would not last. Lehman went up to Canada where he worked in the cigar business but in 1859, he and Isaac re-convened in Texas where the latter had already opened a department store in 1857. This time, their partnership proved itself. Their business model was simple. They noticed other merchants in Texas overcharged for good and underpaid when bartering so the Sangers focused on fair trading. Their prices were appropriate and this meant they were much lower than the prices of their competitors. At the same time, they accepted goods like cotton as trade and gave the traders of such items a much higher credit in return than competitors. The result was an obvious one. Business boomed. Isaac had opened a successful new store in Weatherford and Lehman worked with him there for a few weeks until he moved north to Decatur and opened a new branch of the Sanger store. The stores in both cities continued flourished until 1861. At the end of the War, the Sangers made their way back to central Texas which appeared very grim due to all its losses. Lehman dug up his gold in Weatherford and made his way for Houston where he intended to migrate out of Texas because it seemed that no business could succeed again here. However, he stopped in the town of Millican along the way and recognized the needs of people there for various goods. Though wealth was not assured, usefulness was. Lehman did go to Houston but only to buy up a mass of items and brought them back to Millican to sell out of a tent. In order to prevent being robbed, Bro. Lehman slept on the floor by his goods and then woke up and sold out the next day. The business grew and grew and the need for workers was evident so Lehman and Isaac, who had arrived from his own war adventures to partner with Lehman in Millican, wrote to relatives encouraging them to move to Texas to help in the business and master the frontier. More Sangers brothers and lots of Jewish cousins came promptly and in this way, the Sangers sparked a large migration of Jews to Texas. In the winter of 1865, Lehman was on a business trip to Houston when he became ill with dengue fever. His friend, Zacharias Emmich, nursed him back to health. Employees of Sanger often marveled at his loyalty to men like Emmich and to even the most distant of Sanger family members. Lehman survived the illness thanks to Emmich but the Sanger family and their rapidly growing community of Jewish Texans were not all so lucky. Many other Sangers had followed the brothers to the United States. In 1867, a Yellow Fever epidemic swept through the region. Two younger Sanger brothers were killed and so was Eli Baum, a business partner of Isaac and Lehman. As a result, Lehman closed his store in Millican and relocated to Bryan where the use of the Sanger name was first placed on a store. Isaac went to New York where he established himself as a merchant and worked to send goods to all of his remaining brothers who were now running shops in various train cities across Texas. 1867 also marked the full naturalization and the completion of Bro. Lehman’s citizenship process. As an American citizen, he inserted himself into all kinds of civic projects such as the creation of the fire department in Bryan. 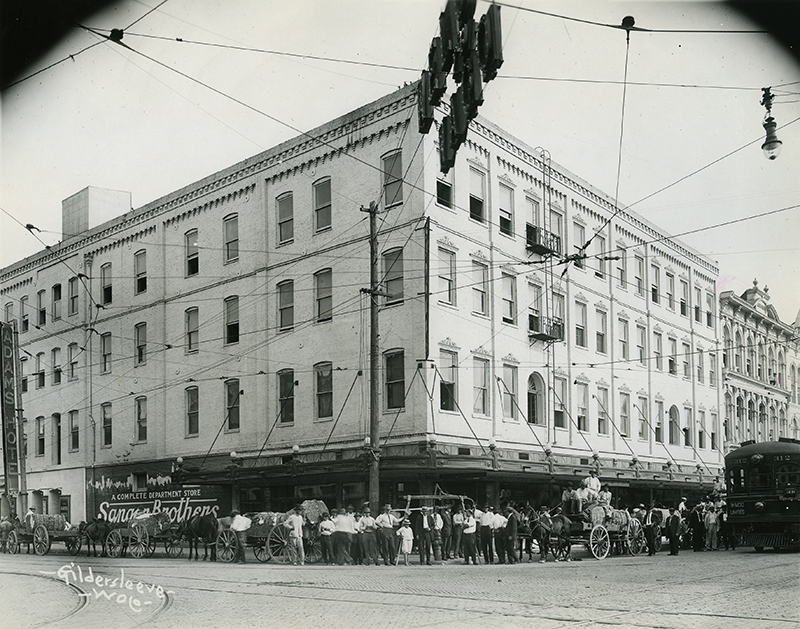 In 1871, Lehman and his younger brother Philip opened a store on the square in Dallas that flourished. Since opening their first makeshift stores in the 1850s, Sanger Bros had grown to be the largest dry goods store in Texas in the early 1870s. 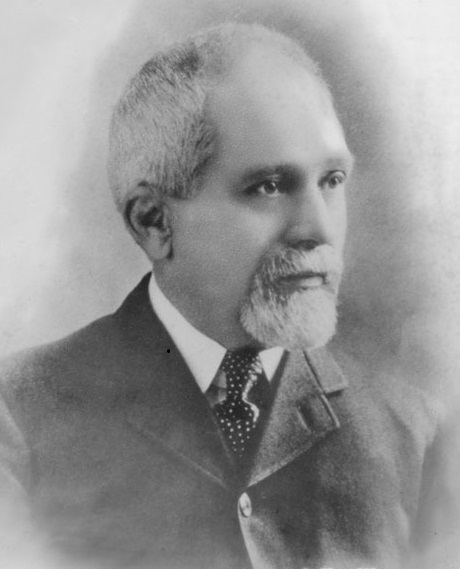 Lehman’s reputation was renown by this point and he helped to organize the Dallas Hebrew Benevolent Association, just one of several similar organizations established with the helping hand of Lehman across the state of Texas. Bro. Lehman spent his retirement committed to community enrichment and world travel. Lehman and Philip came here to open a store. On March 4, the Waco Sanger Brothers Store was opened for business. By this point, the Sangers had stores being managed by hired family members in Corsicana, Dallas, Bremond, Bryan, and eight other cities but only Waco and Dallas proved successful enough to survive the era of Reconstruction. In November of 1873, Lehman and other Jewish Wacoans founded a B’nai B’rith Lodge which is a Jewish benevolent fraternity similar to Freemasonry. Six years later, the members of that lodge led the creation of the Rodef Shalom congregation which still meets in a magnificent and historic temple today. Another major impact made by Lehman and his brothers in Waco was the encouragement of the cotton industry. Lehman offered grand prizes to the first cotton farmer to bring a bale to market each year and this became a tradition that helped spur the world-famous Cotton Palace events. Also in 1873, Lehman’s sister visited his home in Bryan by train. She had been living in Calvert and upon her arrival, the citizens of Bryan panicked because word had just reached them that a Yellow Fever outbreak was in Calvert. They went to Lehman’s house intending to force her out of town but Lehman’s wife, Bell, picked up a pistol and dared one to come through her door. They relented and it bought Lehman enough time to get the family safely to Galveston until the whole episode blew over. During the mid-1870s, Lehman’s health began to fail as a result of overworking. He had developed a habit of seven day work weeks, all day and all night. He would even have his meals while handling customers. This hardy work ethic resulted in ulcers and forced him and his family to go on an extended vacation to Karlsbad, Germany and elsewhere in Europe where his health quickly returned. However, in 1880, overworking had again begun to threaten his well-being so Lehman formally retired and sold his interests to four of his brothers. They continued the business in its original format: selling goods at a fair price, accepting goods at a fair price, implementing new technologies, and close-knit loyalty to family and employees while contributing to the community. By the turn of the 20th century, the Sanger Bros Waco branch was selling a modern day equivalent of $28 million in goods every year. In 1872, Lehman invited his younger brother, Alexander Sanger, to move to Texas and open a branch of their store in Dallas when it was just a village of 2,500 people. Alex’s branch grew with Dallas and he eventually took over the family business after the older brothers retired. He carried the business into the 20th century. He implemented night schools to educate employees and was a major figure in developing the Dallas community. He organized the State Fair of Texas and was its director for more than thirty years, helped create the first Dallas Fire Department, and was involved in just about everything that helped make Dallas a major city. Though the Sangers found a society in Texas that was far more welcoming to Jews than the Europe they left behind, the new state was not without its anti-Semites. A story was often told of some ruffian threatening the Sangers and one of their workers with a Colt pistol and a bowie knife. Just as things began to look hairy, John Robert Baylor, nephew of Judge Baylor, stepped in and stared the would-be assassin down until he turned and left. Baylor was a fellow mason and friend of the Sangers. This event of a well-known Baptist vouching for a well-known Jew was evidence that inter-religious bonds were strong in early Texas and often times, they developed in Masonic lodges. Such was not necessarily the case elsewhere in the world. While the Sangers left Germany due to rising anti-Semitic philosophies, such cruel mistreatment of Jews was happening elsewhere. Russia famously blamed the Jews for an assassination of their tsars and used this to enact a campaign of hatred. Many Jews fled Russia in terror and some of them came to Texas where men like Lehman Sanger freely gave them refuge. Sanger was known to be equally helpful to all kinds of people in need throughout his lifetime and that is perhaps his greatest legacy. It was this kindliness towards the less fortunate that contributed to the decline of the Sanger Bros enterprise in the 20th century. 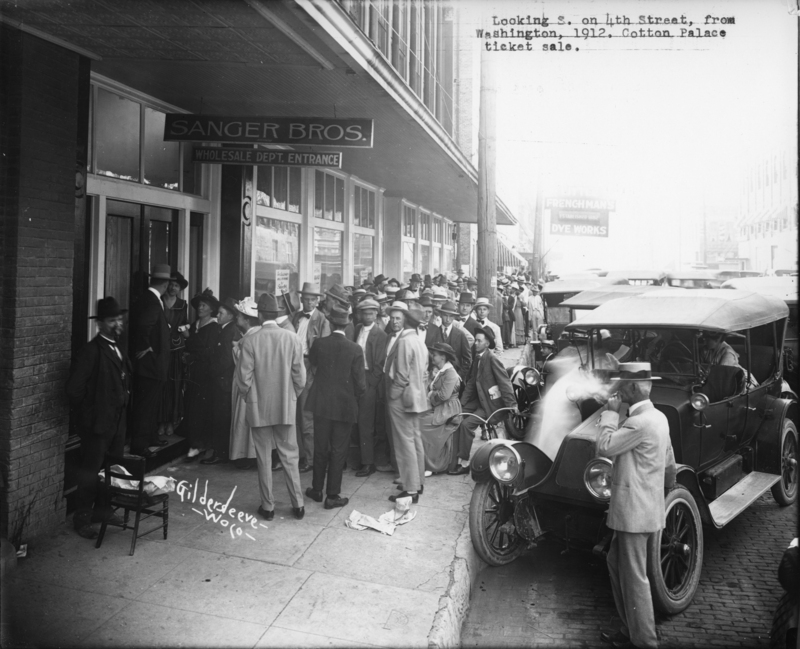 People said that the Sanger Bros simply gave away their wealth to employees or needy people even as their own financial accounts dwindled with economic depressions and the toll of World War I on their businesses. In Waco, the Sanger name can still be seen all over town. Sanger Avenue is one of our busiest streets. The Sanger Heights Neighborhood is one of our most historic. The downtown area which once flourished in part due to the economic boost provided by the Sangers is undergoing a revitalization. The town of Sanger, Texas was named for Lehman and his brothers. You can see it on our map here. Recently, a lady exclaimed after reading this article that she once worked in the Sanger Harris store located in Dallas and she still fondly remembers the family-centered work environment that was still running strong a century after Lehman slept on the dirt floor of his Millican store. Rodef Sholom, the Waco Jewish congregation Bro. Sanger helped develop, is alive and well. Its temple is a little more than a stone’s throw away from our current lodge building. It is remarkable to this writer to note that two organizations which have proven so meaningful to the central Texas community were so heavily impacted by one man and his brothers in the 1800s and both of our institutions carry the Sanger legacy while housed in buildings so close together.